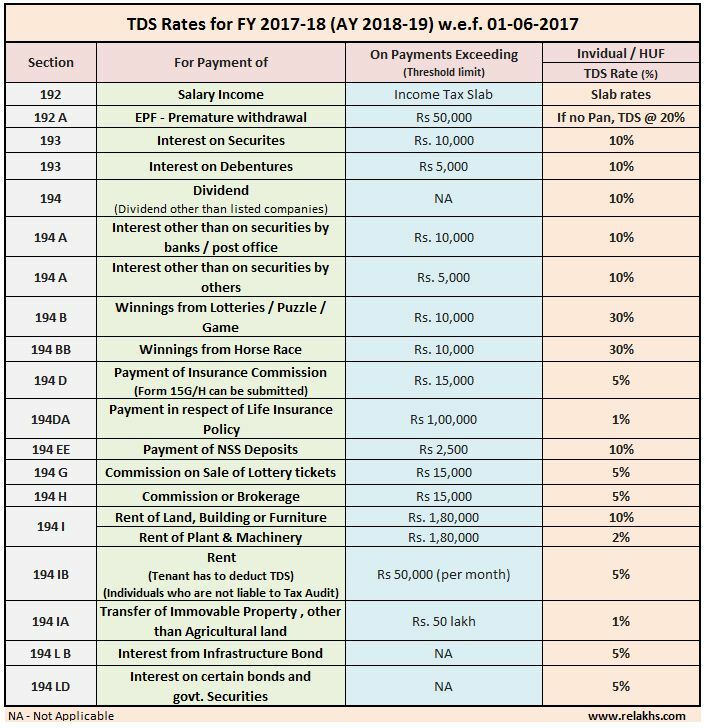 Based on the Financial Act 2017-18, following are the revised TDS threshold limits & rates of TDS applicable for the FY 2017-18 (AY 2018-19). There is a common misconception / myth that if there is no TDS then the schemes (or) investments are tax-free. Why is it advisable not to invest in FDs/RDs for longer period? Ideally i want to ask this under section ‘How to reply to Non-Filing of Income Tax Return Notice?’. But could’t find a comment option there. My Father is an NRI workinjg in UAE for the last 35 years. 1.The lncome Tax Department has received information on financial transactions/activities relating to you. A list of some of the information for Financia-Year 2014-15 is provided below. As per records, you do not appear to have filed lncome Tax Returns for Assessment year(s) 2015-16.
lf you are not registered with e-filing portal, use the ‘Register Yourself’ link to register. The response to this letter has to be submitted electronically by clicking on the ‘Compliance’ link after logging into the e-filing portal. You may keep a printout of the acknowledgement of submitted response for your own record. of receipt of this letter failing which appropriate proceedings under lncome Tax Act,1961 may be initiated. But this total amounts to only Rs 45/- as shown in Form 26AS. Please let me know what should be done in this case. Why we received this letter from Income tax this month.ie Dec 2017, ..even if its for FY14-15. Please help me how to respond to this notice. They have indicated two reasons, ie deposit of Rs 2 Lakh in FD and TDS u/s 195 – which is TDS deducted at the time of making the payment to the NRI. The information about the TDS deducted and rate should be mentioned in the sale deed between the NRI seller and the buyer. Suggest you to kindly consult a Chartered Accountant in this regard. But i wonder why TDS was deducted as he deposits the money in NRE account which is not taxable. Yes, need to go through the documents/statements. Kindly consult a CA in person at the earliest! 194 J for Professional services is not present ? You may find more details on Sec 194j..here..
we are builders hiring jcb and diesel generators in our project sites. what will be the tds rates and limits on hire charges? Dear Surya..Suggest you to kindly consult a CA. for RD’s there is a separate threshold limit of 10000 and for savings there is another threshold limit of 10000. Or is it combined, ie. the threshold limit is only 10000 for FD’s RD’s Savings together. Deduction from gross total income of an individual or HUF, up to a maximum of Rs. 10,000/-, in respect of interest on deposits in savings account with a bank, co-operative society or post office can be claimed under this section. Section 80TTA deduction is not available on interest income from fixed deposits. Kindly read : RDs/FDs – tax implications.. Thanks for your reply and i have read the article you suggested.But i have still one doubt. Suppose i work in a private company in India and my salary falls in the 10% tax bracket. My father is an NRI, sometimes he used to deposit money as fixed deposit in my account. Some of his money may lie in my savings account also. does my annual gross income becomes 11 Lakhs and i fall in 30% tax bracket ? 2. Do i need to pay tax on interest earned on these amount (FD’s and savings). 3.Since he’s an NRI is there any change in taxation rules. If the interest is taxable is there any way/any form which can be submitted to bank so that this income is not considered as my income. You may treat the income deposited in your account as either GIFT or loan. If gift, then it is tax-free and you can disclose the amount under ‘Exempt income’ section of your income tax return. 2 – Interest income on FDs is a taxable income and need to be disclosed under ‘income from other sources’ head. 3 – Then he needs to deposit in his NRE account. For an NRI, interest earned on NRE deposits is exempt from tax in India. So long as you continue to be an NRI or a resident but not ordinarily resident – the tax exemption will continue to apply for these deposits held by NRI. I have received an intimation U/S 143(1) on 9th September 2017 saying that Ihaven’t paid 234B interest of Rs 475/- and 234C interest of Rs 531/-. Total due of tax Rs 1010/-. I paid self assessment tax of Rs 5942/- after deducting the relief U/S 89 of Rs 4633/-, in addition to TDS. This is due to the FD interest. Kindly advice how to deal this intimation. Whether I have to pay this amount. If I paid, whether I have to file the return again. Kindly note that Interest under section 234B of Income Tax Act is levied upon those taxpayers who default in payment of Advance Tax. If you have to pay Rs 10,000 or more in taxes in a financial year, advance tax may be applicable to you. You may have to pay the tax dues…kindly check the compliance link in your account of e-Filing portal, respond to it. There is no need to file ITR. I have purchased a flat of 42 Lakh for which I have taken a loan of 30 Lakh. I have taken 6 Lakh from my sister via NEFT. 1. Do I need any sort of agreement (GIFT agreement) so that no problem arise in future for this transaction ?. 2. Do I need to disclose this income in ITR ? 3. Will I need to pay any tax for it ? Have you taken this as loan? (or) did she gift you? She has gifted me . 1 – Getting a Gift Deed is advisable but it is not mandatory though.. also as the transfer has been done through NEFT, your bank statement reflecting this transaction can be considered as a documentary evidence (if required). 2 – You can disclose this amount under ‘Exempt income’ section of your ITR. 3 – It is tax exempt. Kindly read : Gifts & Tax implications..
1. So do I need to fill ITR-1 only or some other ITR ? 2. As there is no occasion like Birthday, Marriage etc so it will be safe to receive such a huge amount of 14 lakh as gift ? 1 – Which ITR form ? This can be based on the new ITR forms for FY 2017-18 (which will be released in Mar/Apr 2018 only). For reference you may go through this article – Which ITR form to file? 2 – As long as the gifts are from defined family members, its ok, they are tax-exempt. I am 26 years old, working in a IT service company. I am receiving salaried income. I used to invest in my company shares for about 2 years. The shares are bought by my company every month from my salary. Last month I sold all the shares I was holding. some of them will be short term and some will be long term. How do I declare my capital gains in IT returns? what form should I submit? and how to pay capital gains tax? You may have to file ITR 2 form. If you have held the shares for more than 1 year then it is Long term capital gains, and is tax-exempted. <12 months , then gains on redemption are treated as STCG, which are chargeable to tax @ 15%. very nicely explained. Will Recurring Deposits maturity proceedings will be done TDS? if yes, how much TDS? RD of 2000/pm for 5 years for example with interest rate of 8%. I read that article. one small doubt. Is it mandatory for bank to do TDS for RDs?. they never did that in my case, but i have always included the interest income in my income tax calculations. May be interest is small amount ( around 10 K for 5 years) i felt. The budget 2015-2016 has put RDs at par with FDs for TDS purpose. Banks are deducting Tax Deducted at Source (TDS) on Recurring Deposits too, from 1st June, 2015. Yes, may be your interest income is below Rs 10k..